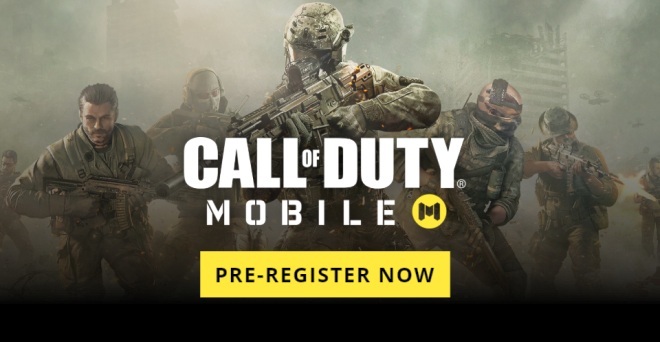 Call of Duty Mobile is now official and should hit Android and iOS handsets later this year. Although there will not be a battle royale mode at launch, Activision has confirmed that this free-to-play title should offer this treat at some point in the future. Obviously, this "unique Call of Duty battle royale experience" will be accompanied by more content. Although the Call of Duty franchise has made a few visits to the mobile realm so far, a new title is almost ready to roll out. Simply dubbed "Call of Duty Mobile," the new effort by Activision and Tencent Games appears to be the same as Call of Duty: Legends of War, a game that entered the alpha stage at the end of 2018. Call of Duty Mobile promises to deliver 60 fps gameplay with multiple modes, such as Team Deathmatch, Free for All, Frontline, as well as the ability to enjoy classic CoD maps such as Nuketown and Crash. Those who miss some of the iconic characters that stand out in the CoD series, such as Price and Ghost, will be able to enjoy them in the mobile title as well. Call of Duty Mobile is a free-to-play title and it seems that Activision will have to monetize on cosmetic items or premium gear and special game modes. Such a mode is battle royale, which is not going to be available at launch, but will arrive after a while. However, we can only hope that this "unique Call of Duty battle royale experience" will be available for all players without incurring any fees. Sadly, there is no release date yet, but anyone can pre-register "to stay up-to-date on all the latest intel, learn about opportunities to join future Beta tests, and get the chance to earn in-game rewards." Pre-registration is only available for Android now, but iOS should follow soon as well.